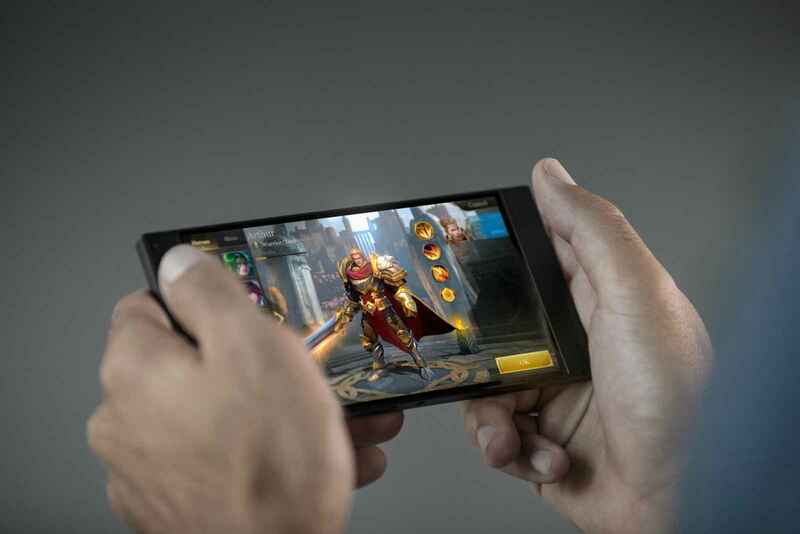 The Razer Phone finally comes with a slim bezel and Ultramotion display technology, which allows synchronization of the screen refresh rate with the GPU’s rendering capabilities, thereby minimizing the lag phenomenon. Ultramotion is like the mobile version of NVidia G-Sync or AMD FreeSync on your gaming PC. The Razer Phone is designed to look exactly like Nextbit Robin, but it’s made of metal rather than plastic. 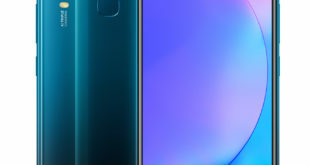 This design makes it feel like the recent Sony XZ series. Even the power button of the Razer Phone also plays the role of a fingerprint sensor. There will be two different versions, the regular Razer Phone with a silver logo and a Special Edition with the traditional green logo of Razer. According to the information received, there is no difference between the two versions except the logo color, a very familiar business style in the game. 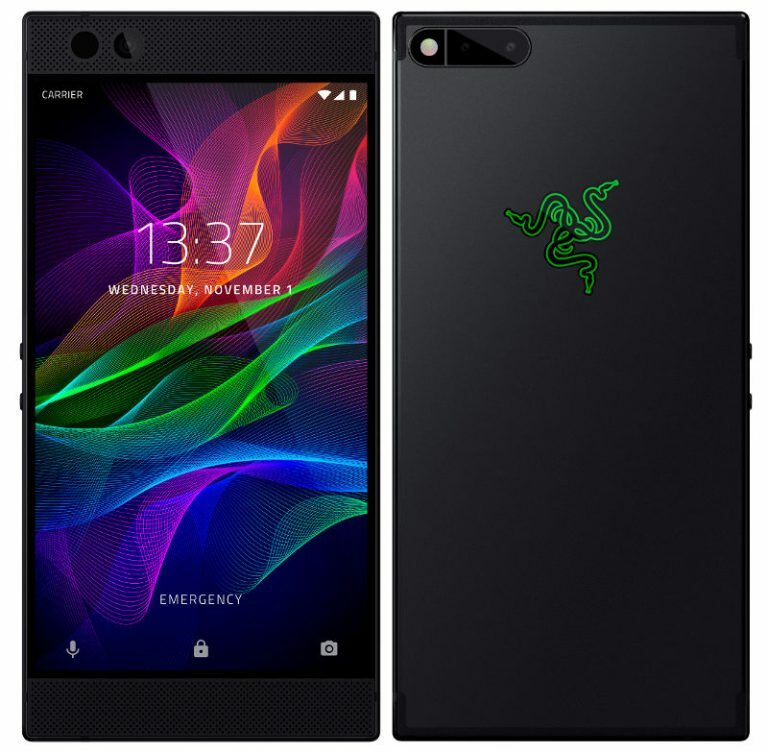 Razer phones use a 5.7-inch 2K display with a traditional 16:9 aspect ratio, and Quad HD (2560×1440 pixels) IGZO LCD UltraMotion panel with Corning Gorilla Glass 3 protection. The Razer gaming phone has a 120Hz UltraMotion display, similar to Apple’s iPad Pro (120Hz), the only phone with this feature. (Sharp Aquos R also has similar display, but it’s only for the Japanese market). UltraMotion’s adaptive refresh technology synchronizes the GPU and displays to remove image tearing or lag while driving efficient power usage, says Razer. 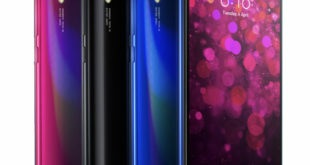 In this case, the refresh rate of the screen will be changed from 10-120Hz to suit, while most current phones have a fixed refresh rate of 60Hz. Some of the games that will support Ultramotion include Shadowgun, Arena of Valor or Final Fantasy XV Mobile Edition. As mentioned earlier, the Razer gaming phone is powered by Octa-Core Snapdragon 835 Mobile Platform with Adreno 540 GPU paired with 8GB of RAM, 64GB of internal storage with microSD card slot (up to 2TB), and a 4000mAh battery, a very good battery pack with a 5.7″ screen, which will also be the first smartphone to support QuickCharge 4.0+ 24W. In addition to higher speed, QC 4.0+ is also compatible with USD PD for you to choose the type of charger you want. For software, Razer has partnered with Nova Launcher to create a separate interface for Nova Launcher Prime they called Razer Edition. There is also Razer Game Booster app will allow users the option of resolution, frame rate or the maximum CPU performance for in each application. 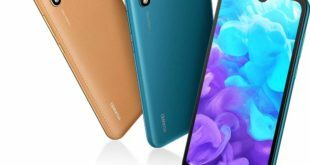 The device runs on Android 7.1.1 Nougat, which will be upgraded to Android Oreo in spring 2018. 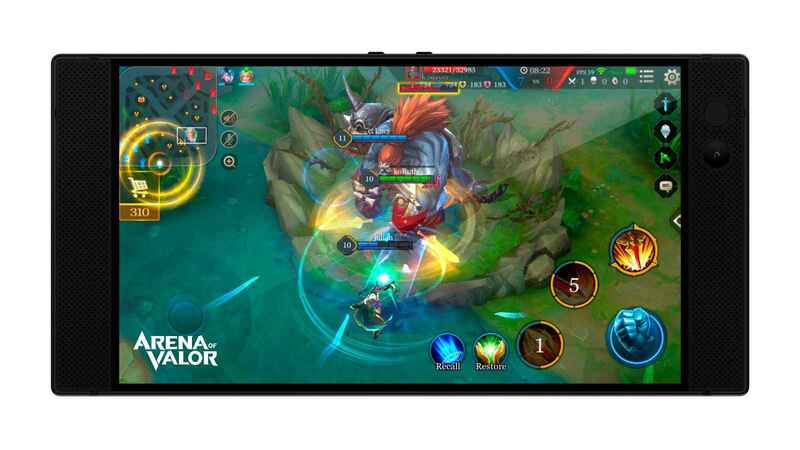 The company has partnered with Tencent, Square Enix, and others to bring top games that take full advantage of the phone, optimized for its 120fps screen. 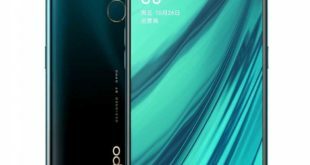 It has stereo front-facing speakers and Dolby Atmos. It doesn’t have a 3.5mm audio jack but comes with THX-certified USB-C audio adapter with a 24-bit DAC. Razer gaming phone bears dual 12-megapixel cameras with, one with wide-angle (f/1.75 aperture) and the other with telephoto lens (f/2.6 aperture) for 2x zoom, it has PDAF, and dual-tone LED flash. For selfie, there is an 8-megapixel front-facing camera with f/2.0 aperture. The Razer Phone price is $699.99 / €749.99 / £699.99 and will go on sale in North America and Europe from November 17th with pre-orders starting today.